I’ve wanted to write about this topic for a long time. Our society has been changing over the last five years in ways that are disturbing to me. One of these ways is the emphasis on creating “safe places” for students on college campuses to shield themselves from uncomfortable or dissenting viewpoints. This is a short-sighted answer to handling opposing opinions, insults and those who see the world differently. Our children are growing up in a divided world. Our society is not governed by the morals, manners and decency we grew up with. On the one hand, our society tells us that “anything goes and all is acceptable,” and we need to adjust and accept all views, regardless of our personal beliefs and values. On the other hand, young people are told that they won’t be able to handle those that disagree with them or hurt their feelings, and that the answer is to find a “safe place” to retreat to when upset. This trend has also bled into our adult lives. We get the message that the answer to feeling offended is to get the other person to change their opinion, or not say things that upset us. This creates a weakness of character in both children and adults, which has long term consequences. It also causes us to hand over our well-being and power over to the actions of others. This is a precarious place to be. I very much believe that children and adults alike need protection from abuse and bullying. I’m not talking about that. I’m referring to the need we have to learn how to handle the normal differences of opinion we all have about a variety of topics. We also need ways to soothe ourselves when our feelings are hurt. This trend is creating young adults who do not know how to handle and recover from hurt feelings, and differing viewpoints. There is a better way! It’s called self-compassion, and is a gentle way we can relate to ourselves, both when we’re struggling and when things are going well. This way of relating to ourselves equips us to live in a judgmental world that doesn’t offer grace and understanding for mistakes. As we respond to our imperfections with kindness, we will learn to respond to ourselves with compassion as well. This makes us less vulnerable to the judgments and opinions of others, and helps us create a “safe place” on the inside. We need to equip our children, young adults and ourselves to handle the negative messages and pressures that come at us from all sides — from school, friends, society and social media. It is normal for our kids to want to be accepted and included by their friends and social groups. This is not the answer to their well-being, however. They need a way to be their own kind friend and advocate as they are subjected to pressure, hurtful words and opinions they don’t agree with. The reality is that our children will encounter people who disagree with them and don’t like things about them for the rest of their lives. The answer is not to make others stop saying hurtful things. Instead, we need to help them develop a compassionate friend on the inside to walk through life with. 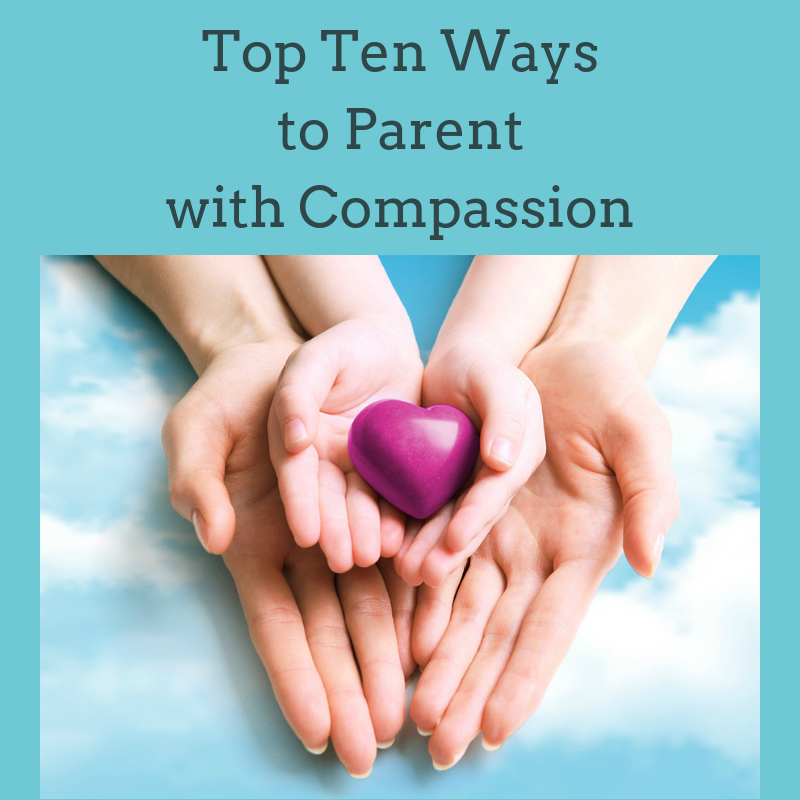 Our children desperately need to learn how to be compassionate with themselves. They are vulnerable to being hard on themselves because they are constantly learning new things, which involves lots of failure. They are also prone to soak in how others view them when they don’t have a way to combat negative messages. Practicing self-compassion helps our children do just this. Without it they are vulnerable to peer pressure and the opinions of others, and find it difficult to retain their own thoughts, feelings, and stand firm in their faith and convictions. Self-compassion helps them step back and be kind to themselves after going through a difficult situation. They are then able to evaluate what they’ve been through and decide how to handle a given situation. When kids practice self-compassion, they become more resilient, feel better about themselves, and have a greater ability to handle life’s problems. By creating a safe place on the inside, they have a friend to go through life with who will bring comfort and help them learn to soothe themselves when they are distressed. When adults practice self-compassion, they become more resilient, hopeful and enjoy healthier relationships. As we apply both grace and truth to ourselves, we take a look at what we did wrong without saying it’s no big deal or saying it was a disaster. Applying self-compassion helps us handle our humanness and the situations we are in with empathy, concern, understanding, and kindness. It also gives us the grace to forgive ourselves, as well as accept and correct our mistakes. The good news is that we don’t have to turn on ourselves when we see our negatives. We can value ourselves, while at the same time commit to doing what is necessary to either repair any damage we caused or move toward growth in a specific area. I encourage you to learn how to be kind to yourself. I have some resources and soothing words to listen to that will help you find ways to interact with yourself with grace and truth. You can discover compassionate ways to care for and soothe yourself, and find kind words to speak to yourself. You are worth the time and effort. You really are. What do you think about creating a safe place on the inside? What do you do or say to care for yourself when you encounter others who disagree with you or hurt your feelings? What other thoughts or feelings do you have about this post? Excellent words of wisdom Kim….I’m a 57 year old woman who is on the journey of learning this myself….so thankful for teachers like you and others who pass on the keys to healthy emotional living…bless you dear one! So glad my post was helpful. Congrats to you for all your work and growth. You go girl! Dear Kim, I am so grateful for all I have learnt from you and continue to learn. Creating this safe place inside so that we don’t fall apart when confronted by a different viewpoint, is an essential survival skill for life! I wish your books had been available 40 years ago! But I know you are reaching many with what you teach, and that it will help many parents and adults as they learn the art of self-compassion. Praying for your health as you await surgery. release grace over you and impart total well-being[c] into your lives. 3 John 1 2 Beloved friend, I pray that you are prospering in every way[d] and that you continually enjoy good health, just as your soul is prospering. Colossians 1 11 We also pray that you will be strengthened with all his glorious power so you will have all the endurance and patience you need. May you be filled with joy,[c]12 always thanking the Father. Thanks Dear Mary! I so appreciate your kind words and prayers. So delighted my books and posts have been a blessing to you. Thanks for blessing me with these wonderful verses. Many Blessings to you Mary! Kim, Thank you for your wisdom and discernment and your willingness to share. I agree with the others and am so grateful for you. Praying for your health and strength as you move forward on your journey. God bless and keep you. strengthened in this area of “positive and constructive” self talk!! You are a Consistent Blessing!!! Thanks so much Lillian…so appreciate your encouragement, and am so glad my posts are helpful. Thanks for your love and prayers. LOVE that verse! Life is a wonderful journey full of joys and sorrows. I just learned about your health issues from a post on FB. I’m so sorry. We know God has a plan but sometimes we can’t help but ask why. I first heard you speak many years ago (maybe around 1995) at Bayside Church when it was at Granite Bay High School. You gave a seminar about dealing with teenage kids. I raised my hand and expressed that my daughter really knew how to push my buttons and that it was hard for me not to respond to her with (in my mind) justified anger. I’ll never forget your response, (And how’s that working for you?). What an aha moment! Thank you! Years later I reached out to you when my son was on a boat at a youth group outing with Valley Springs. One of the boys had fallen overboard and was killed by the propeller. My son was on the boat and witnessed this. He came home in shock. You gave some wonderful guidance to all of us parents. You were our gift from God as we were all at a loss as to how to help them. I reached out and my son had several sessions with you that helped get him through this terrible time. Thank you! Those kids still gather every year on the anniversary of BN’s death to honor his memory. I’m so glad to have found your blog and will be following it. Dear Sandy, Thanks so much for your encouragement Sandy. I appreciate it so much. It has been such an honor to speak into the lives of others, especially during difficult times. I’m grateful I’m still able to reach others online and through writing. It’s so kind of you to go out of your way to let me know that my efforts have been helpful. So glad to reconnect!